Are virtual power plants the future of European utilities? Everyone knows the future is decentralized, right? The top-down energy system is as dead as the dodo, isn’t it? Well, yes and no. This article was first published in November/December issue of Intelligent Utility magazine. In Germany, where renewable energy accounts for around one-quarter of national power output, the big power generation utilities like RWE, EnBW, E.ON et al certainly look to be an increasingly endangered species. But grid companies? No, sir. The enormous volumes of intermittent generation have made the role of grid balancing ever more crucial and this has given rise to a new breed of utility, one which points to the future, perhaps, for Europe’s behemoths. Next Kraftwerke is one of a growing number of companies which aggregates decentralized generation capacity to form a virtual power plant and provide ancillary services for Germany’s TSOs: Amprion, EnBW Transportnetz, 50Hertz Transmission and Tennet. 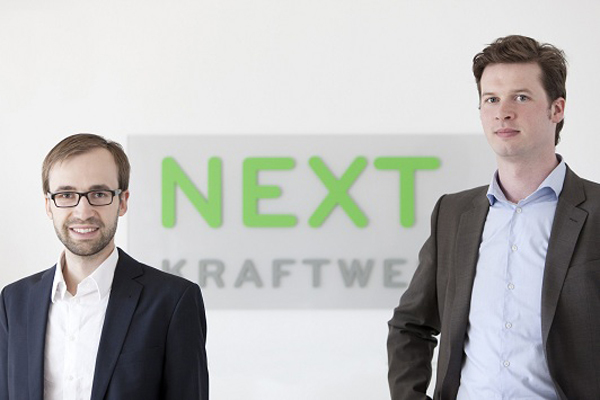 Founded in 2009 as a spin-off from the Institute of Energy Economics at the University of Cologne, Next Kraftwerke has enjoyed explosive growth. In 2013 it aggregated 1GW of capacity from 2,400 installations and traded 2.5TWh, mostly from biogas, biomass and CHP plants, up from 1TWh and 400 installations only a year previously. Next Kraftwerke does two things. Firstly, it takes the power from an aggregated plant in its virtual power plant, which it calls Next Pool, and sells it on the EPEX (European Power Exchange) SPOT market and, secondly, it aggregates capacity for balancing services to the TSOs, which must provide between 5,000 and 6,000 MW of balancing at all times. The company operates a central control room in Cologne featuring a 100% automated control system to adjust the aggregated generation units according to current market, grid and weather data. By upgrading existing software used to control power plants, Next Kraftwerke can react swiftly, sometimes within five minutes, to changes in the grid. The units, which are located all over Germany, are remote-controlled by ‘Next Boxes’, which are custom-made, SIM card enabled units made by Cologne-based SAE IT Systems, measuring 60cmx40cm. The control room’s IT software is a combination of internal development and an external package. The aggregated bioenergy plants are given a schedule to produce power only at certain times, which allows it to beat the average spot market price. On top of this, units installed before 2012 earn extra corn by way of a government incentive premium for selling clean energy on the spot market. For the balancing market, Next Kraftwerke is most active in secondary and tertiary reserve control, which pays for availability as well as supply. The availability payments eventually come out of the consumer’s wallet via grid charges, but the supply costs are stumped by the market players who caused the imbalance—those who have not met their forecasts for generation or consumption. Saemisch noted that, in recent months, the prices paid by the TSOs for reserve services have fallen, especially for availability. However, this is expected to be a short-term phenomenon due to the increasing number of conventional power plants, such as coal and gas-fired power plants, going offline. Next Kraftwerke’s ambitions do not stop at Germany’s borders. Saemisch expects European electricity market designs to merge over the next five years, offering a huge opportunity to sell its grid services across the continent. Next Kraftwerke has recently begun operations in Austria, but the potential prize is much larger. “German TSOs will co-operate more with the TSO of the Netherlands, Belgium, Austria, Switzerland, Czech Republic and elsewhere,” said Saemisch. “European Commission regulations are forcing TSOs to co-operate. “We see that this idea of co-operation is getting more important, TSOs are very interested in it and gives us a chance to grow. I imagine we could have cross-border markets for balancing within five years,” he added. Saemisch expects increasing competition for its grid services, not just from similar virtual power plant outfits such as Clean Energy Sourcing and energy2market, but also from Germany’s municipal Stadtwerke and even its Big Four utilities. “The role of the utility will change over the next decade. Virtual power plants are a new kind of utility, which perhaps shows the way to what utilities have to do other the next five to ten years. “It’s too early to say whether the likes of E.ON and RWE will become virtual power plants, but they will put a great deal effort in doing this. But we have a head start,” he said. Posted in Policy & Regulation, Smart GridTagged Next Kraftwerke, Virtual Power PlantsBookmark the permalink.